I am so busy that I don’t know where to begin and this is why I haven’t blogged all week long. Ich habe so viel zu tun, dass ich nicht weiss wo mir der Kopf steht. Das ist auch der Grund dafür, dass ich die ganze Woche über nichts gepostet habe. 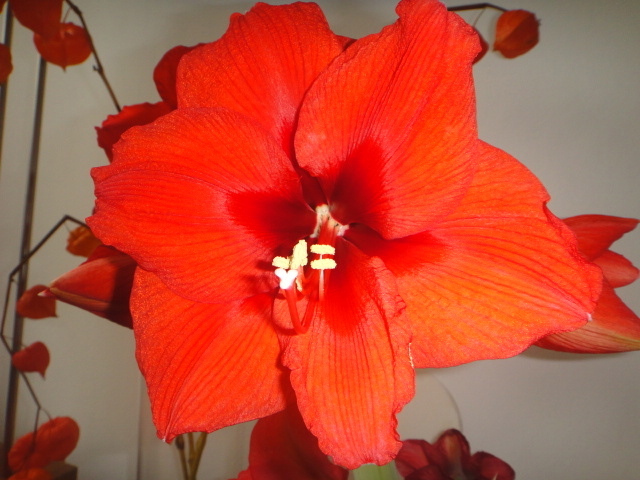 Amaryllis is my favorite winter flower too .. and this red color is my favorite … living room goes in this red and granite gray. Wonderful job here. 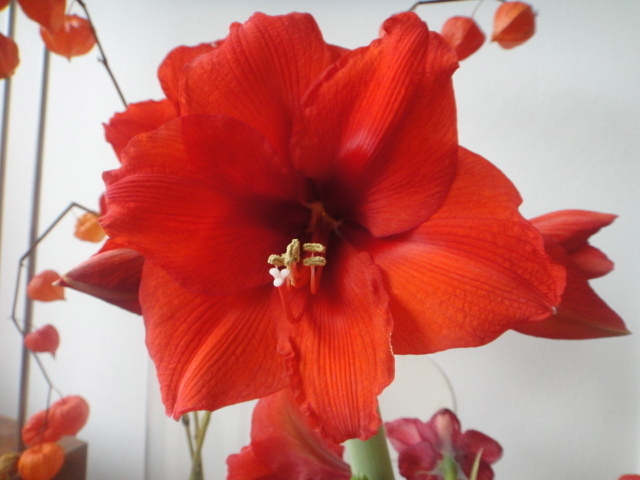 Same to you … I think Amaryllis is the Empress of all flowers. They are beautiful! 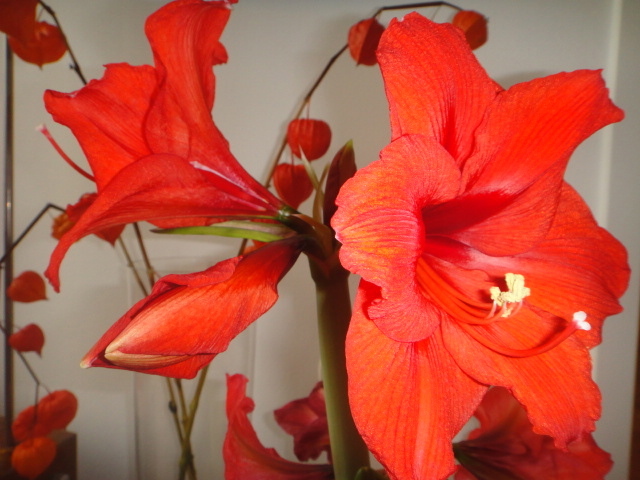 Love bright flowers that add some colour to the room. 🙂 Thanks for sharing, have a good week too!